Scott Young, DDS Contents Elvira C.
Elvira was unhappy with the appearance of her smile. She wanted bigger, brighter teeth, partly because her natural teeth were developing significant wear on the incisors. This incisal wear was also causing sensitivity in the worn teeth. It took just two visits for Elvira’s smile makeover, and sedation dentistry helped make those visits more comfortable. 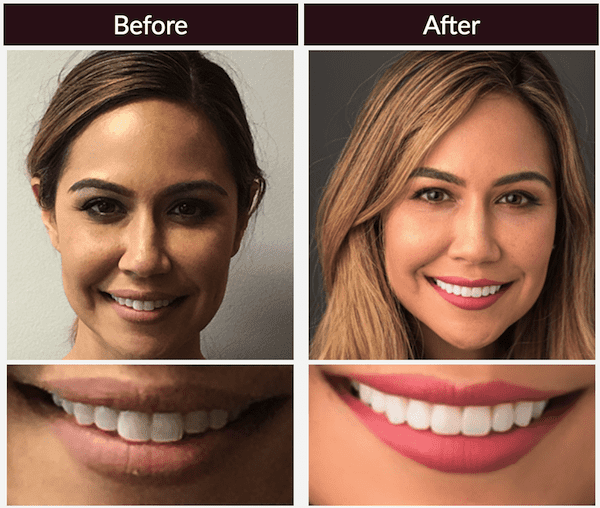 She received ten upper porcelain restorations that lengthened her incisors and gave them a brighter appearance. The restorations also reduced sensitivity by covering worn areas. To protect restorations from future wear related to nighttime clenching and grinding, Elvira received a night guard.